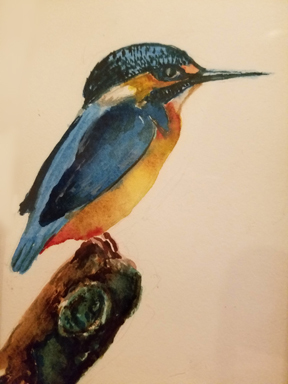 Kingfisher – Dan R. Olsen Jr.
Kingfishers are pretty little birds. This is one of my early attempts at watercolor. It is a hard medium to control. I think I still like oil better.